Overall property transactions in Dubai totalled Dh111 billion for the first half of 2018, says the Dubai Land Department (DLD). This was done through 27,642 transactions. This represents an approximately 16 per cent decline compared to the same period a year ago. Overall property transactions in Dubai totalled Dh132 billion in the first half of 2017 and Dh113 billion in the first six months of 2016. The Land Department numbers represent properties and plots sold across Dubai. "The reduction in property transactions in the first half of 2018 come as off-plan transactions recorded a drop after the torrid pace set in 2017. The reason for the decline in off-plan transactions has been a combination of fewer developer launches as well as somewhat of a pullback of developer incentives that were the rage in 2017. Further, we have started to see a reallocation of investible funds towards the ready space, a trend that we believe will continue as investors arbitrage away the difference in prices between the ready and off-plan space," Hussain Alladin, head of IR and research at Global Capital Partners, told Khaleej Times. "We have seen a drop in off-plan sales this year. Last year, developers came out with several innovative payment plans and other incentives to attract buyers. This attracted both end-users and investors looking for a good yield, while allowing them to pay over time from their regular incomes. However, secondary sales have remained strong where sellers who understand economic cycles are willing to meet the market price," said Sanjay Chimnani, managing director, Raine & Horne. In the first six months, Business Bay and Dubai Marina were the leaders in terms of investor picks, accounting for 1,934 and 1,445 transactions, while the Al Merkadh neighbourhood had 1,262 deals. In terms of value too, Business Bay reigned, with its transactions accounting for a sizeable Dh4.2 billion. 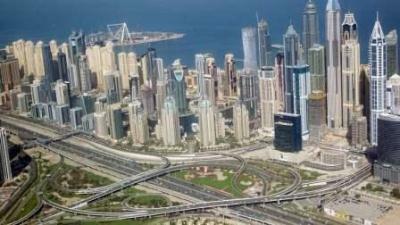 Dubai Marina was placed second with Dh2.9 billion worth of transactions and Dh2.1 billion for Al Merkadh. Sultan Butti bin Mejren, director-general of DLD, said: "The government's strategic decisions have had a significant impact on sustainable growth and on strengthening the competitiveness of the national economy. Granting investors a UAE residency visa for up to 10 years and reducing government fees included in previous initiatives will be of the most important incentives for economic growth in the emirate as they will have a positive impact on reducing business costs and will support Dubai's position as one of the best investment destinations in the world." There were 7,668 transactions that were financed through mortgages, valued at a combined Dh57.6 billion. Increased mortgage-back deals means that end-user buyers are active in the market. In terms of mortgages, Dubai Marina listed 498 transactions worth more than Dh1.7 billion, Jebel Ali First came in second with 454 transactions totalling Dh769 million and Business Bay recorded 453 transactions exceeding Dh3 billion. Dubai registered real estate transactions exceeding Dh285 billion in 2017 and Dh259 billion for the full year 2016. These numbers suggest that the second half of the year should give a further impetus in terms of the numbers and values of transactions. "The second half kicks off with Cityscape Global in September and many developers coincide their plan to launch new products or come up with offers and new payment plans for products where they have inventory to sell," reckoned Chimnani. "Transactional activity will continue to see ebbs and flows and are a function of a cornucopia of factors, including developer launches, incentives, but mostly are a function of prices. Given that certain areas command higher interest currently [Sports City transactions are up 28 per cent on a y-o-y basis] and there seems to be a resurgence of interest in upper-income locations, it appears as if we are on course for a stronger second half. Exogenous factors such as the announcement of the 10-year visas will also have an impact, as and when details of the same are released," added Alladin. Bin Mejren added: "If we were to identify the reason behind the strengthening real estate market, it would be the level of maturity it has reached to maintain its sustainable growth. Expo 2020 is close at hand, and developers in the market are expressing interest in aligning with the directives of the leadership to turn Dubai into a global pioneer and an attractive investment hub in support of Dubai Strategic Plan 2021." While Emirati investors ranked first in both the number and value of transactions - being involved in 2,986 transactions worth Dh6.8 billion - Indian nationals came in second with 3,218 transactions at Dh5.9 billion. This was followed by Saudis whose investments were worth almost Dh3.7 billion through 1,415 investments. The list of top 10 investors by nationality also included Dubai residents from Britain, Pakistan, China, Egypt, Jordan and France. The investments put in by Gulf nationals exceeded Dh11.6 billion through 4,919 transactions. Arab investors concluded 2,561 transactions worth more than Dh4.115 billion. The value of properties registered by female investors reached Dh9 billion through 5,526 transactions. Market observers are upbeat in their outlook about H2 2018 in the wake of several path-breaking decisions announced in the past months. These include a 10-year visa for investors, allowing funds and REITs to list on the Dubai Financial Market, reducing fines and providing payment plans to expired business licences, stimulation of businesses by releasing Dh14 billion in the form of visa deposits, allowing many businesses to own 100 per cent of their shareholding, six-month visas for people looking for work opportunities, freeze on school fees, etc. "As these announcements take shape on ground in the next weeks and months, these will make Dubai an even more attractive destination for businesses and individuals to come looking for new opportunities. Not to forget that Expo 2020 is around the corner and many infrastructure plans are being put into place. This should contribute positively to the sales environment," concluded Chimnani.